I found this amazing metallic foil sweater on sale at Club Monaco a couple weeks ago – it’s a great layering piece for winter, but I plan to wear it with white jeans or linen shorts come summer. Also, my friend Megan (who took these photos) was wearing much cooler sunnies than I was, so I had to include them in at least one shot! 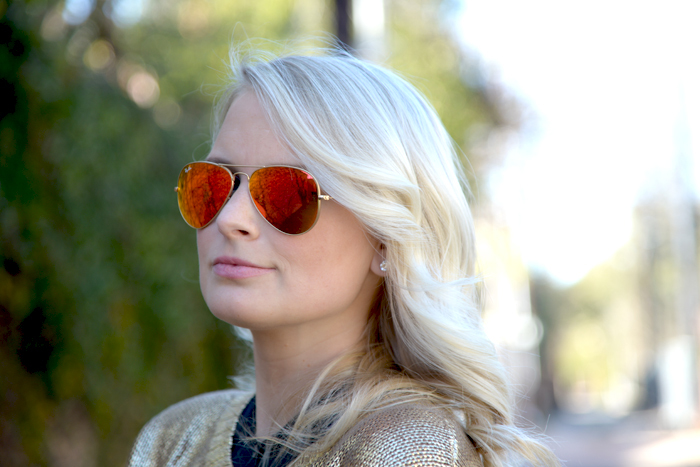 How sweet is the mirrored lens on these Ray-Bans? Needless to say, I want them now. totally agree – they’re the bomb! Such a good sweater! Love. 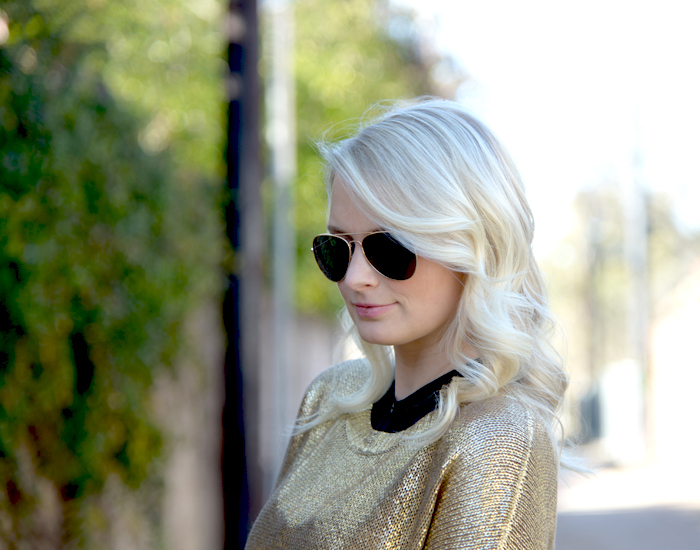 I’m in love with your sweater, but I’m also in love with the layers in this look! I always find those longer shirts (are they a shirt? are they a tunic? can they be a dress?) so hard to style, but you’ve done it marvelously! thank you! I’ve also worn it as a dress with a black tank dress underneath – it’s a great piece for year-round wear! 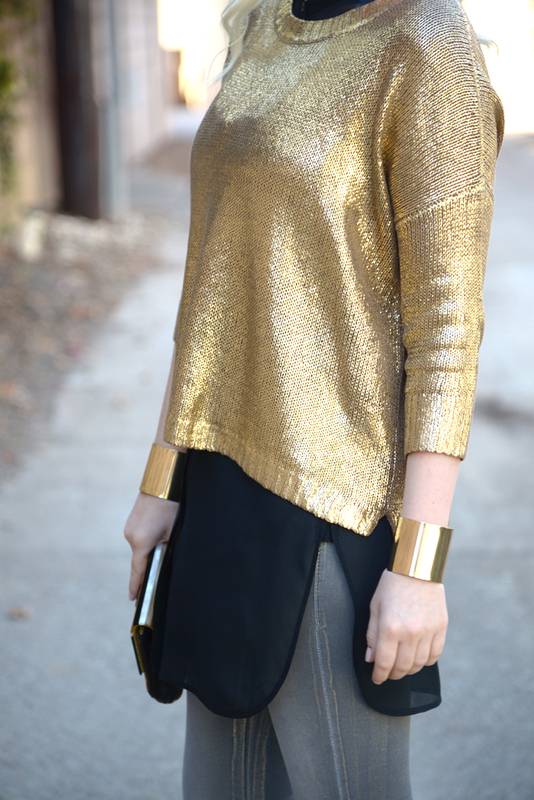 this is easily the best gold sweater we’ve seen this season! love it paired with navy & grey. beautiful look.